Generic Industry Research That's Never Generic! Sajal Agarwal is based in New Delhi and is an employee of The Smart Cube (TSC), (www.thesmartcube.com), which provides customised research as well as data and analytic services across a number of industries. Sajal has experience in preparing financial models and has carried out research and analysis on various sectors including healthcare and ITES. 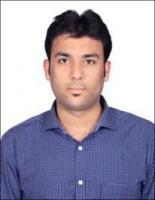 Prior to joining TSC, he has worked with an IT firm called Mahindra Satyam. Sajal gained Bachelors in Engineering in Computer Science from Maharshi Dayanand University and MBA in Finance from ICFAI Business School in Hyderabad, India.